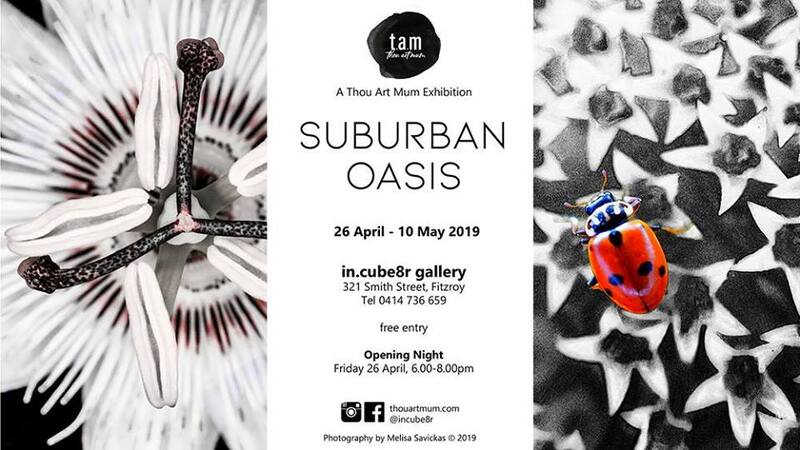 in.cube8r gallery, Fitzroy and Thou Art Mum present Suburban Oasis, a group exhibition featuring works from 12 Melbourne artists. The ideal suburban oasis is transforming from the traditional Australian quarter acre block to a smaller space, enclosed by a concrete jungle of tiny spaces the closer you move towards the city. A garden or oasis is a treasured space in its myriad of forms. 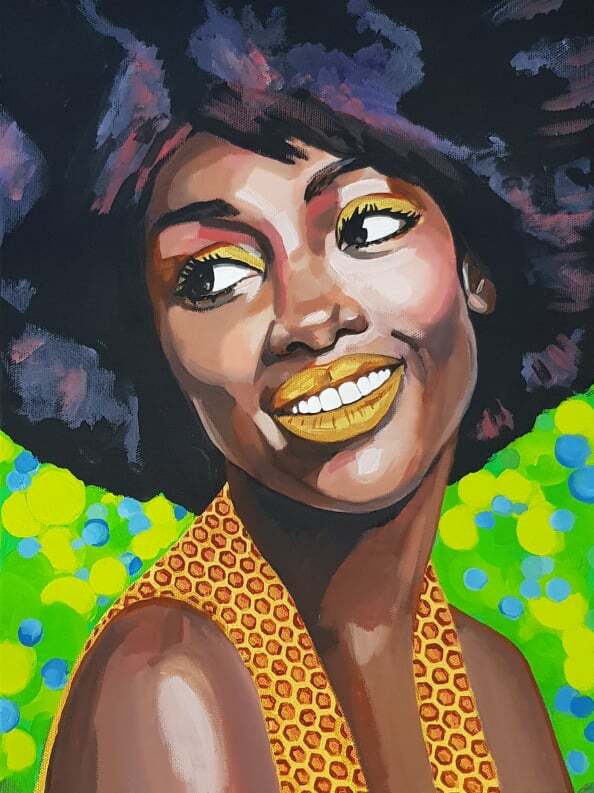 This exhibition explores our artists’ delight in their surrounds as they create a visual interpretation of their own suburban oasis. Opening drinks Friday 26 April, 6pm-8pm, free entry and all welcome. Show runs 26 April-10 May 2019 at in.cube8r, 321 Smith Street, Fitzroy. Liv, meaning blue, is a flower power, vintage-loving, ritual sun worshipper on the green suburban city fringe. Her long, light hair is tied with knots to remind her of all the daily souvenirs that should not be forgotten. 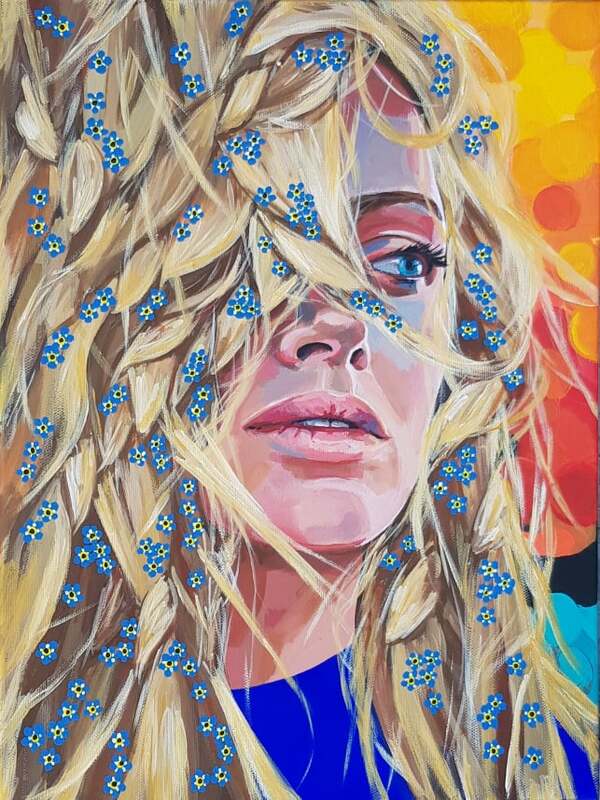 The fragrance of the forget-me-nots burns strongly in the dying embers of the day and she recollects that smell is the strongest memory catcher of all the senses.